Be it a new build or an existing property – environmental factors always play a major role in real estate management. 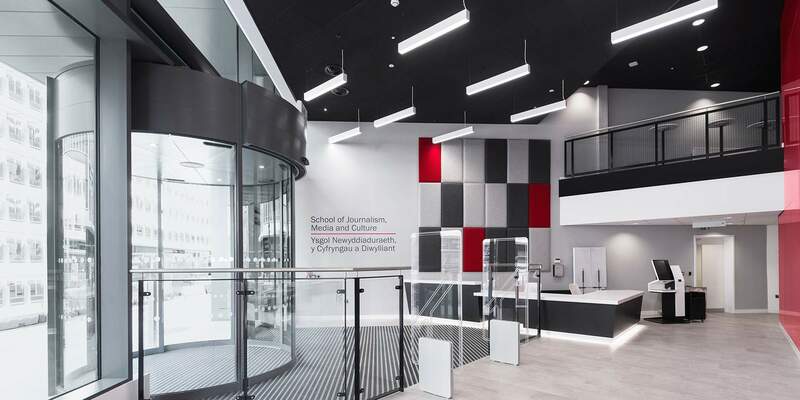 The recently completed new building at 2 Central Square in Cardiff, Wales, underpins this impressively. Innovative and profitable real estate solutions in line with global climate protection goals – that is what the investment products of Credit Suisse Asset Management Global Real Estate stand for. What may sound simple in theory can often prove to be a complex challenge in practice. The reality is that each country has its own sustainability standards. That is a challenge for CS REF International, which is active around the world. Although internationally recognized sustainability labels such as BREEAM, LEED or Energy Star have contributed to a process of harmonization, carbon emission and energy consumption limits are still inconsistent across national borders. Moreover, there is a host of different building regulations. To guarantee a certain degree of comparability, however, specific, measurable consumption data is increasingly being used in the real estate industry as a sustainability indicator in place of labels. Specific, measurable consumption data is becoming increasingly important as a sustainability indicator. In view of this situation, Global Real Estate is continuing to develop the energy monitoring it has already established. It will be used in around 20 countries based on the experiences gained from the property portfolio in Switzerland. It involves the use of a system developed together with Siemens Schweiz AG, which records all the relevant energy consumption data of a property – the basis for promptly identifying potential building optimizations. High profitability through an engaging mix of tenants: the biggest law firm in Wales and Cardiff University provide stability. In addition to optimizing existing plots, the issue of sustainability is also a matter of utmost priority for new buildings. The property at 2 Central Square, in the heart of Cardiff city center, is a prime example of that. The capital of Wales is one of the most dynamic economic centers in the United Kingdom. Once littered with expansive industrial ruins and dilapidated docks, spacious parks and the popular Cardiff Bay have sprung up in recent years. It is no wonder, then, that the approximately 350,000 residents, as well as tourists and business travelers, value the metropolis today for its high quality of life. Following the successful redesign of the waterfront, the city center is now undergoing a striking change. The driving force is the vision to give the historic heart of Cardiff a unique atmosphere through a mix of modern new buildings. To that end, the Central Square located directly at the train station is being completely redesigned. That project includes the new building at 2 Central Square, which is part of the CS REF International portfolio. The high-class building was designed by Lord Norman Foster, a star architect who was knighted by Queen Elizabeth II and who was entrusted with the master plan for the redesign of the entire Central Square. The fund invests in good-quality commercial properties at attractive locations in Europe, Asia and North, Central and South America. Completed in fall of 2018, the property covers a little more than 14,000 square meters. It extends across an inviting first floor, eight spacious office floors and an underground parking lot with 31 spaces. 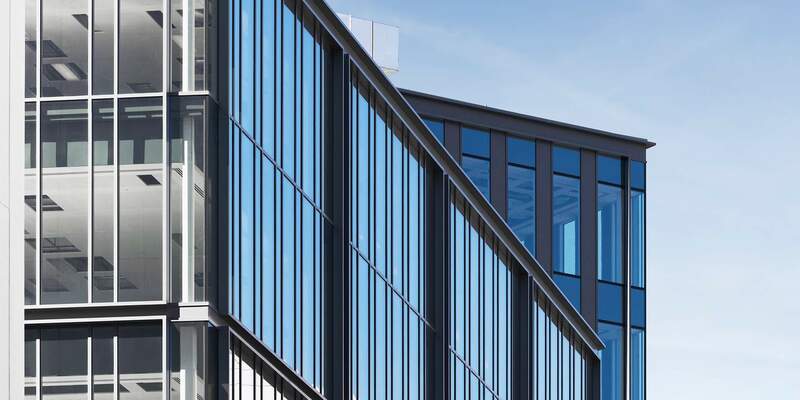 The steel frame construction, which is encased in a contemporary glass facade, gives the building an attractive structure both inside and out. The new building promises high profitability. Aside from the exceptional location directly in the city center, the outstanding build quality and the interesting mix of two prestigious tenants are further success factors. One of these tenants, Hugh James Solicitors, is the largest law firm in Wales. Their lease agreement is valid for 15 years. Cardiff University has committed to a further 10 years. The plot, therefore, will enjoy long-term full occupancy. The former site of dilapidated docks now boasts parks and the beloved Cardiff Bay. There, the star architect Norman Foster designed the high-class building 2 Central Square, which is part of the CS REF International portfolio. The building project also scores highly in matters of sustainability. It was awarded the "Excellent" BREEAM certificate by the Building Research Establishment (BRE). The certification method is applied in 77 countries and is based on UK and European standards. It covers a wide range of environmental and sustainability factors, which attest the low environmental impact of successfully certified real estate. With its BREEAM "Excellent" rating, the 2 Central Square property seamlessly joins a long list of environmentally friendly properties in the CS REF International portfolio. The Exchange is included in that list. The real estate in Vancouver, Canada, which was opened in November 2017, is currently the tallest office building ever to be awarded the platinum certificate for Leadership in Energy and Environmental Design (LEED). This new building therefore underscores CS REF International's efforts to make an active contribution to the achievement of global climate protection goals through sustainable real estate management. The information provided herein constitutes marketing material. It is not investment advice or otherwise based on a consideration of the personal circumstances of the addressee nor is it the result of objective or independent research. The information provided herein is not legally binding and it does not constitute an offer or invitation to enter into any type of financial transaction. The information provided herein was produced by Credit Suisse Group AG and/or its affiliates (hereafter "CS") with the greatest of care and to the best of its knowledge and belief. The information and views expressed herein are those of CS at the time of writing and are subject to change at any time without notice. They are derived from sources believed to be reliable. CS provides no guarantee with regard to the content and completeness of the information and does not accept any liability for losses that might arise from making use of the information. If nothing is indicated to the contrary, all figures are unaudited. The information provided herein is for the exclusive use of the recipient. Neither this information nor any copy thereof may be sent, taken into or distributed in the United States or to any U. S. person (within the meaning of Regulation S under the US Securities Act of 1933, as amended). It may not be reproduced, neither in part nor in full, without the written permission of CS. The key risks of real estate investments include limited liquidity in the real estate market, changing mortgage interest rates, subjective valuation of real estate, inherent risks with respect to the construction of buildings and environmental risks (e.g., land contamination). Credit Suisse Real Estate Fund Siat, Credit Suisse Real Estate Fund Interswiss, Credit Suisse Real Estate Fund Global, Credit Suisse Real Estate Fund LivingPlus, Credit Suisse Real Estate Fund Green Property, Credit Suisse Real Estate Fund Hospitality are investment funds established under Swiss law in the category of “real estate funds,” in accordance with the Swiss Federal Act on Collective Investment Schemes. The fund management company is Credit Suisse Funds AG, Zurich. The custodian bank is Credit Suisse (Switzerland) Ltd, Zurich. Subscriptions are only valid on the basis of the current sales prospectus with the integrated fund contract, the simplified prospectus, and the most recent annual report (or semi-annual report, if more recent). The prospectus, the simplified prospectus and/or the Key Investor Information Document (KIID) and the annual and half-yearly reports may be obtained free of charge from the fund management company or from any branch of Credit Suisse (Switzerland) Ltd. in Switzerland. Credit Suisse Real Estate Fund International and Credit Suisse Real Estate Fund LogisticsPlus are an investment fund established under Swiss law in the category of “real estate funds,” in accordance with the Swiss Federal Act on Collective Investment Schemes (CISA) of 23 June 2006, for qualified investors as defined in art. 10, para. 3 and 4 of the CISA. The fund management company is Credit Suisse Funds AG, Zurich. CS 1a Immo PK: This fund is domiciled in Switzerland and were launched as umbrella funds of the type "other funds for traditional investments" for qualified investors pursuant to art. 10 paras. 3 to 4 of the Federal Collective Investment Schemes Act (CISA). The fund management company is Credit Suisse Funds AG, Zurich. The custodian bank is Credit Suisse (Switzerland) Ltd, Zurich. The fund contract may specify that the target group of investors could be further restricted for specific sub-funds or unit classes. The prospectus, the simplified prospectus and/or the Key Investor Information Document (KIID), the management regulations and the articles of incorporation, respectively, as well as the annual and half-yearly reports may be obtained free of charge from Credit Suisse Funds AG, Zurich or from any branch of Credit Suisse AG in Switzerland. CSA RES, CSA RES Commercial, CSA RES Germany, CSA RES Residential: Credit Suisse Investment Foundation, Zurich, is the issuer and manager of CSA products. Credit Suisse (Switzerland) Ltd, Zurich, is the custodian bank. The articles of incorporation, regulations and investment guidelines, as well as the most up-to-date annual report and fact sheets, may be obtained free of charge from the Credit Suisse Investment Foundation. Only pension funds domiciled in Switzerland that are not subject to tax are permitted as direct investors.Credit Suisse (Lux) European Climate Value Property Fund: This fund is not registered in Switzerland. They may only be sold to qualified investors pursuant to art. 10 paras. 3 to 4 of the Federal Collective Investment Schemes Act (CISA). The representative in Switzerland is [Credit Suisse Funds AG, Zurich]. The paying agent in Switzerland is [Credit Suisse AG, Zurich].CSA 2 Multi-Manager Real Estate Global:The issuer and manager of CSA 2 products is the Credit Suisse Investment Foundation, Pillar 2, Zurich. The custodian bank is Credit Suisse AG, Zurich. The articles of incorporation, the regulations and the investment guidelines as well as the latest annual reports and fact sheets can be obtained free of charge from the Credit Suisse Investment Foundation, Pillar 2. This foundation is open only to a restricted group of tax-exempt pension funds domiciled in Switzerland (article 3 of the articles of incorporation). Is active Sustainability: excellent. Location: exceptional.